Sweet opportunity for potential Greenhorns! 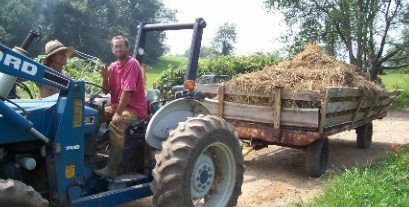 The Biodynamic Farming and Gardening Association is pleased to announce a new two-year biodynamic certification program for apprentices, sponsored in part by the Association, for individuals seeking to learn more about the knowledge and practices of biodynamic agriculture. This new Program consists of an on-farm component-where trainees learn while working-and an accompanying educational component, which takes place in more classroom-like settings. Trainees are assisted in finding suitable farms and in arranging the study component by Regional Coordinators, with whom they review their progress on a regular basis. Trainees apprentice on one or more mentor farms or gardens for 24 months.